Financial support given to patients is receiving more demand in the US, totalling an estimated $15 billion, but are patient assistance programmes good for either patients or pharmaceutical companies, and what effect will Obamacare have? Pharmaceutical companies are recognised for their corporate social responsibility programmes. In the US, one of the ways companies engage in helping society is through company-sponsored patient or prescription assistance programmes, known as a PAPs. Despite the significant investment in patient assistance programmes, the complexity of accessing them precludes many patients from realising their benefits. Chauncey and others described the complexity of the application process. Documents such as income tax returns must be mailed/faxed to the specific programme address and be signed by both patient and prescribing physician. When a patient is approved to receive medication, the patient’s prescription is sent to the physician’s office for the patient. To add to the complexity, many patients using patient assistance programmes need multiple medications and have to complete more than one application, especially for the most requested drugs for chronic medical conditions, such as diabetes, dyslipidemia and hypertension.7 In 2011-2012, 35 per cent of PAP administrators implemented advanced technology – electronic document imaging, for example – to increase programme access and efficiencies. However, the application process remains challenging for patients, who are often reluctant to tell their physician they are not able to pay for their drugs or are unable to complete the documentation requirements. Assistance programmes – are they really marketing strategies? There is still some scepticism about why pharmaceutical companies have introduced and remain involved with patient assistance programmes.8 The simplest answer is they are reaffirming a company’s charitable orientation along with establishing a brand’s identity. Furthermore, in the environment of restricted ability to reinforce a new drug with prescribers under the PhRMA Guidelines, patient assistance programmes are a legitimate alternative to giving free samples, coupons, co-pay assistance cards and rebates to reduce the cost of a patient’s drugs.9 While this provides genuine assistance to a patient, it also enables a patient to start long-term therapy with a drug. It seems likely that patient assistance programmes will evolve into something more than access to brand medications in post-Obamacare reality. For example, PAPs can build the knowledge portals for patients to remain compliant with their prescribed drug regimen and gain the best results of the therapy. Programmes can also consider integrating health economic outcomes research. Pharmaceutical companies can adapt their patient assistance programmes into something that not only assists patients’ access to medications but also helps society and healthcare reform in the US. 8. Choudhry NK, Lee JL, Agnew-Blais J, and others. ‘Drug company-sponsored patient assistance programs: a viable safety net?’ Health Affairs, 2009, volume 28, number 3, pages 827-834. Dr. Makowska is an Assistant Professor at Warsaw University of Life Sciences in Poland. In 2013 as recipient of a Mobility Plus Fellowship, she was a Visiting Scholar in the Pharmaceutical & Healthcare Marketing Department at Saint Joseph’s University in Philadelphia. In 2004, she graduated with a Master’s of Arts in Sociology and, in 2010, she finished Graduate School of Social Sciences where she defended her dissertation entitled: Ethical Standards of Pharmaceutical Marketing. A few months later she published a book by the same title, the first on this subject in Poland, and received first prize in the Federation of Financial Companies and Kozminski University Verba Veritatis contest for the best thesis in business ethics. Dr. Sillup is currently the Chairman of Pharmaceutical & Healthcare Marketing and Fellow in the Pedro Arrupe Center for business Ethics at Saint Joseph’s University following 28 years of work in the diagnostic, pharmaceutical and medical device industry where he held positions from salesman to COO. During his industry tenure, Dr.Sillup has attained favourable reimbursement coverage and coding to support product launches in the US and global markets and monitoring how implementation of healthcare reform will impact healthcare delivery in the US. 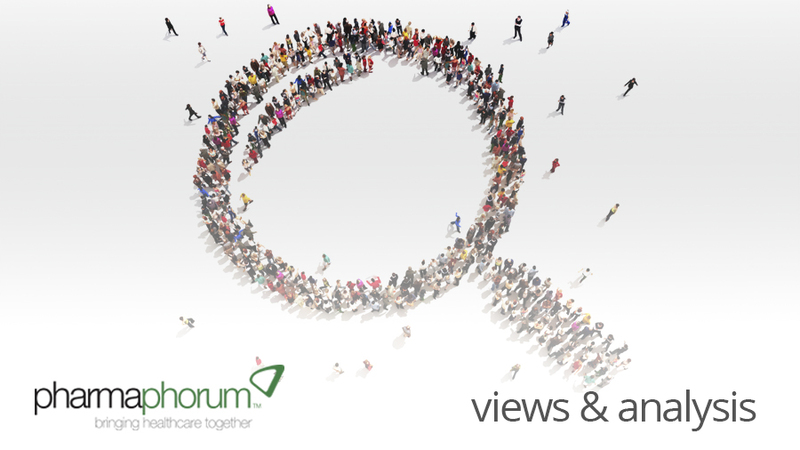 Have your say: Are patient assistance programmes good for patients?